Now that’s the way to Live! When was the last time you were amazed? When was the last time you saw a miracle? When was the last time you actually believed in the possibility of what could be? It’s 4:00am and I woke up to pray for several people heavy on my heart. As I was praying, I began to think about my heart behind the prayers. 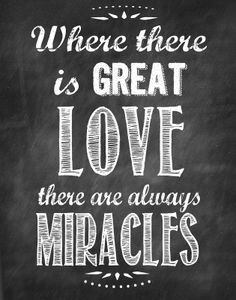 You see, there are many people I know of who are in need of a miracle, a true, life changing, God praising miracle! Yet as I pray for them, I find myself, praying almost in timidity and fear…fear of disappointment in the outcome, fear of praying out of selfish motives, doubt and timidity that my prayers are insignificant in the grand scheme of things and the problems and challenges that people are facing. When did I lose that sense of awe and wonderment in the power of God and the Holy Spirit? When did I stop believing that I AM a vessel used by God, guided by the Spirit? When did I stop believing in what seems like the “impossible” and start settling or even expecting that miracles are rare? When did I close my eyes to focus on the size of the problems, instead of opening my eyes to the Power of God that is around us every day! They were REGULARLY done among the people by the HANDS of the apostles. Regularly, not rarely! What a powerful verse to remember about the power of Christ and the Spirit in us…the miracles that are regularly possible when we believe, open up our hearts and minds to the possibilities, and pray, move, and live in the wonderment of the miracles that can be seen daily! I want to live like that! I want a heart that believes! I want to be used by God whose Power and Love is greater than any challenge, disappointment, and fear! Will you Pray in Boldness? Will you Love beyond fears? Will you Believe in the Possibilities? Will you Live in Awe of God and His Greatness in our DAILY Lives? Our Sunday school lesson was on this exact topic. Sometimes issues/problems seem so big, but there is hope. God’s DOES perform miracles!